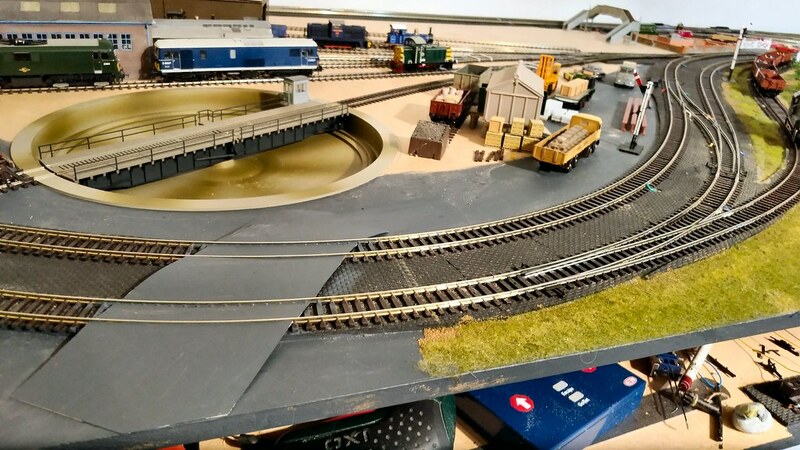 Playing around further with the engine shed area, I have trimmed and pinned the tracks to the turntable and the coal and store siding beside it. As before, much of the track is only resting on the boards and is being held in place by the weight of the locos I have placed on them. 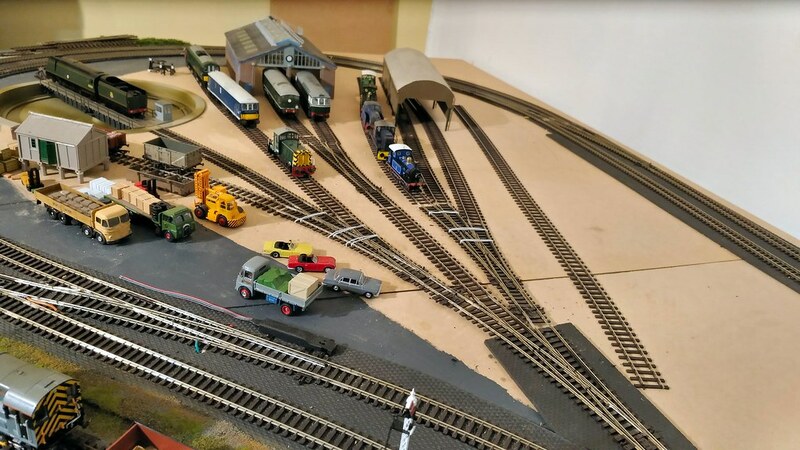 Ignore the surplus length of bullhead track over to the right of the sheds - that's my reserve for when I cut track to the final lengths, although I should really cut all of the bullhead track into 60' lengths. I have just added a new level crossing to allow more realistic access to the stores and shed area. I envisage this as more of an occupation crossing rather than a full-blown regulated crossing, although, truth be told, I didn't really want to add any more level crossings at all, but I cannot see any alternatives at this location. I will have to build up the track centre fillers a little more, but overall it looks the part already, I think. I know I don't really need any new stock, but I have just bought another item. 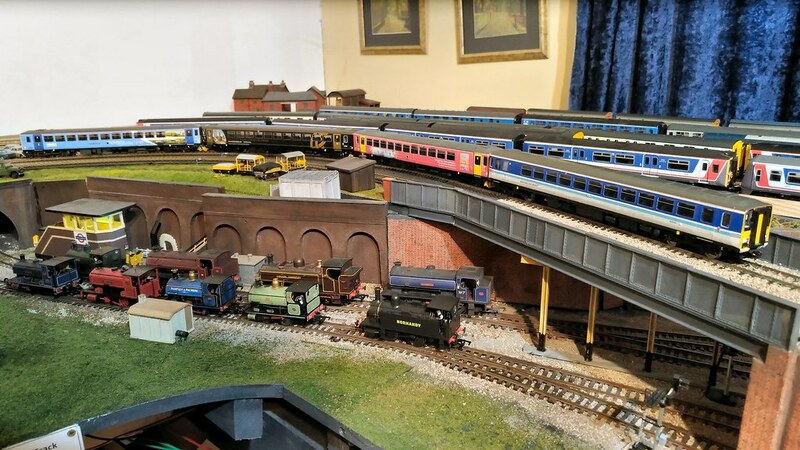 I was at the Caulfield exhibition all day on Saturday, and was actually commenting to the other guys on the BRMA stand that I hadn't spent any money, then went to visit my good friend, Mary de la Lande of Brunel Hobbies to say hello. 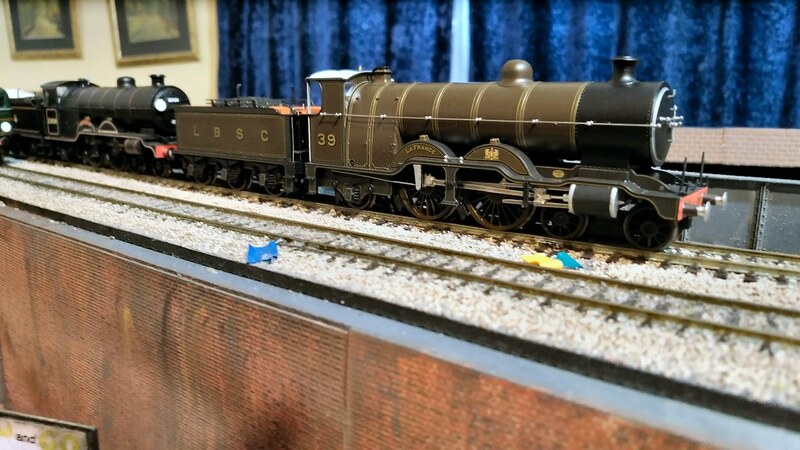 She had a second-hand Hornby class 153 in Regional Railways livery going for $120 (roughly around £68 at current exchange rates), so I bought it on the spot. Mary assured me it ran sweetly, and it did indeed. A DCC Concepts direct plug-in decoder was fitted and it was again tested successfully. It had a few paint chips along the lower body edges, so I touched those in with some Humbrol #129 grey, a shade darker than Regional Railways' grey; I intend to eventually use the correct shade, when I can find where I have put it, but in the meantime, it looks like a little weathering along the lower sides. 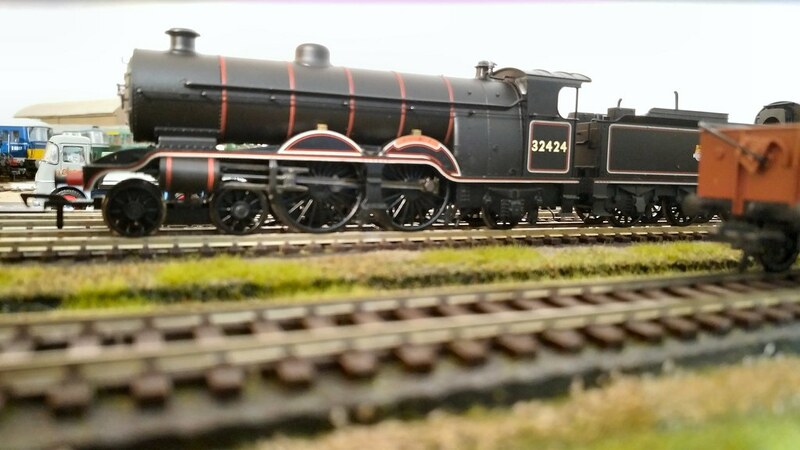 153 377 has now joined sister units 153 329, 153 355 and 153 382, posed here for the camera. The lower level tracks are being used as temporary storage for locomotives displaced while I work on the high level engine shed area. 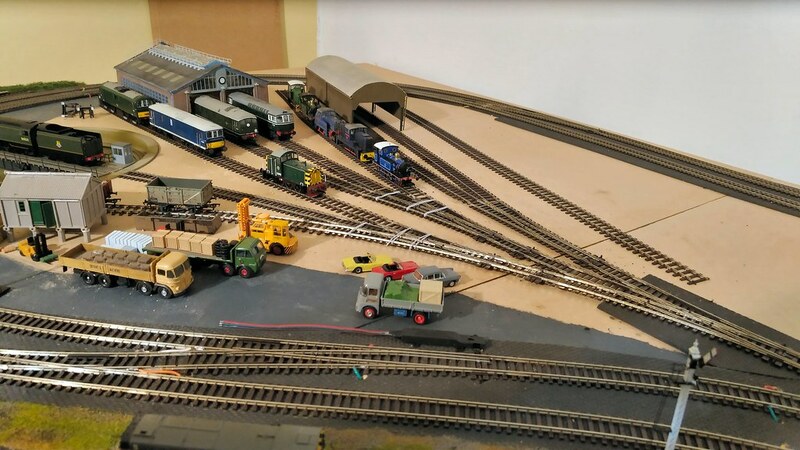 How many locos do you now own and how do you keep track of them all? Hi Dave. I have a good many locos and multiple units! I keep track of the DCC-fitted ones with an Excel spreadsheet, which also lists what type of decoder each is fitted with. 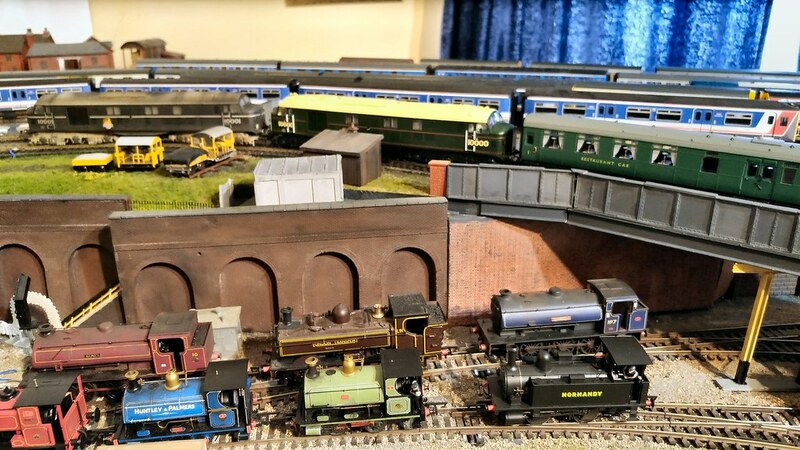 I haven't, as yet, listed all of the older, non-DCC locos, although there are not that many of those, now. According to my spreadsheet, I have 281 chipped locos or MUs, of which 55 have sound. One of the things about multiple units is I can run two or more of them at the same time (in consist), whereas double-heading of locomotives is rare. 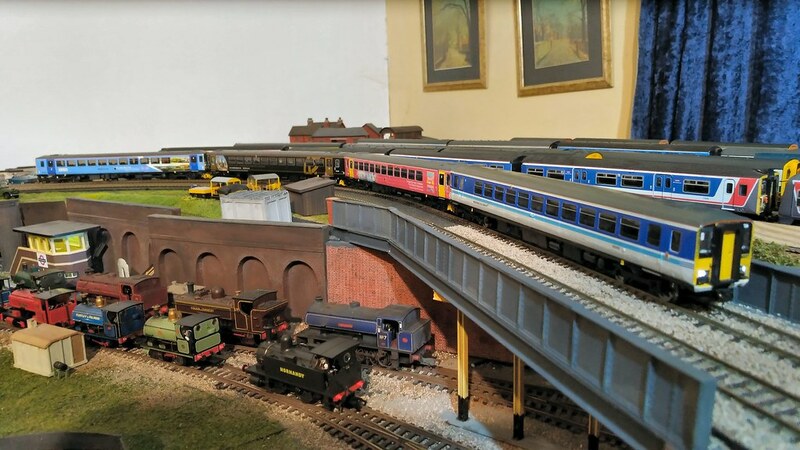 At present i am running 2 x 4 VEP units together, 2 x 2 EPBs, and a class 455 and 456 (although that's cheating a little, seeing as the 456 is unpowered!). 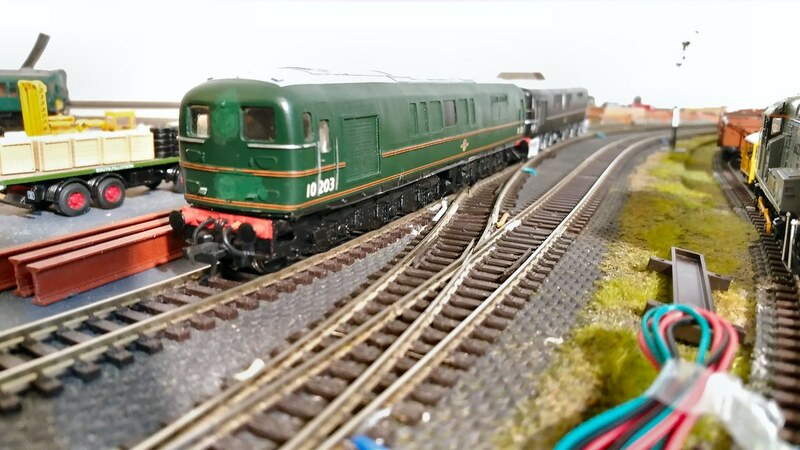 Previously I was running 1960s trains, so had 2 x 5 BELs, 2 x 4 CEP + MLV, 3 x 2 BIL/HALs and 3 x 2 EPBs, all in appropriate liveries. 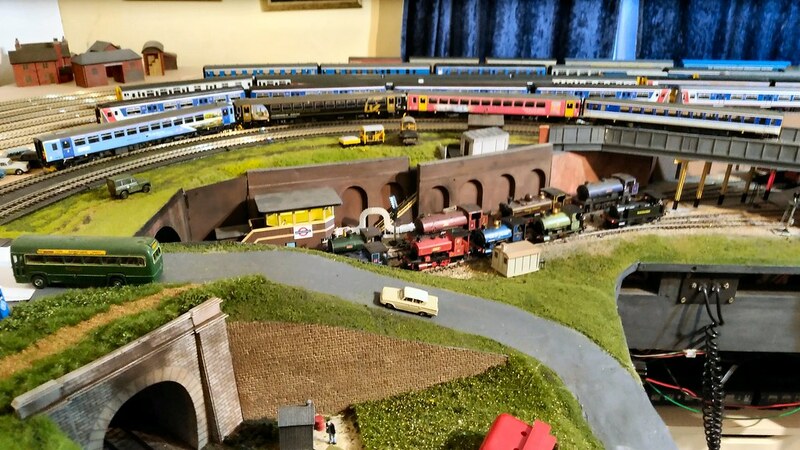 That means that only half or less of the storage roads are storing and displaying six to 11 of my trains in those two examples. I have several compatible DEMUs and DMMUs as well as further EMUs in various liveries that can be accurately mixed, such as 1960s/'70s green, blue and blue/grey 4 CEPs and MLVs, green and blue EPBs, green and blue BILs and HALs, with various combinations of small or full or no yellow panels, and older or more modern liveries that can be run together. 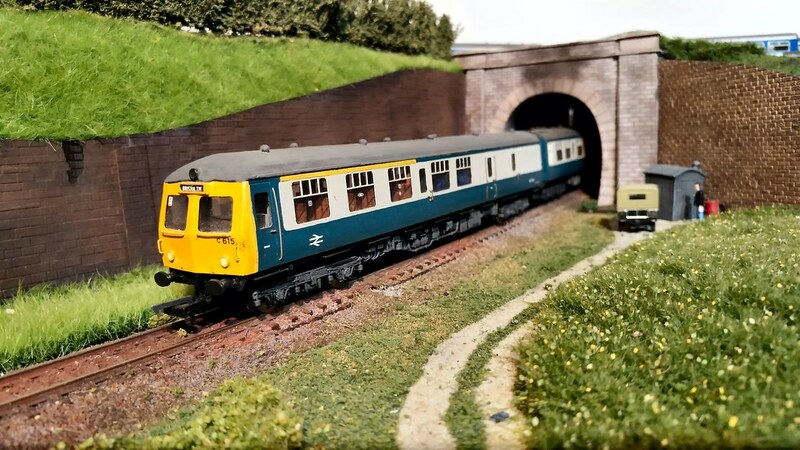 At present there are no refurbished 4 CEP units available, so the MLVs in more modern liveries Jaffa Cake, NSE and Post Office red) are a little bit orphaned, although occasionally the real ones ran with mixes of CEPs and VEPs. As you can see, there is a little method to my madness! I fiddled a little with the carriage shed lines, loosely laying some Bachmann underlay strips, tacked down in places with double-sided tape. 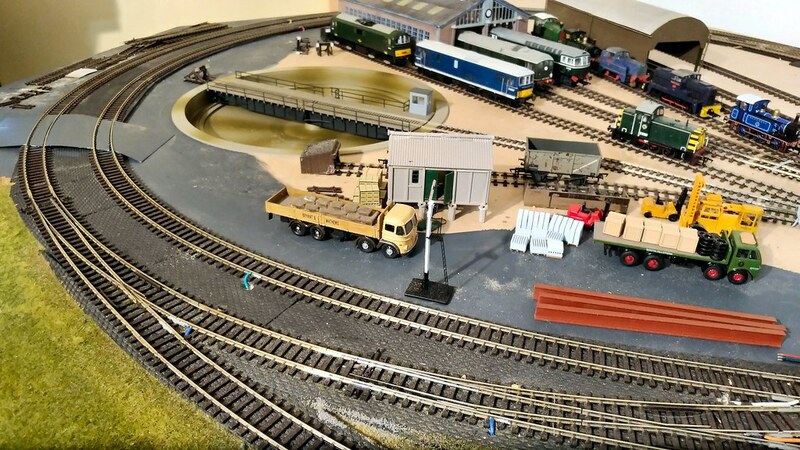 The Ratio carriage shed always sat a little low for clearances, so on the previous layout I had two layers of ice lolly sticks raising it a little; this time I am trying two layers of the Bachmann trackbed, cut into half strips (i.e. as per the N gauge mark), with the bottom layer stuck upside down, and the square edge of the upper layer acting as a guide for the outer edges of the tracks. The idea seems to be good, notwithstanding the fact I haven't glued anything down yet, so it can all move around a bit at present. The EMUs and DEMU are also helping keep the tracks in place for now. The blue 2 HAP unit in the middle is not yet finished, hence the lack of glazing and jumper cables. 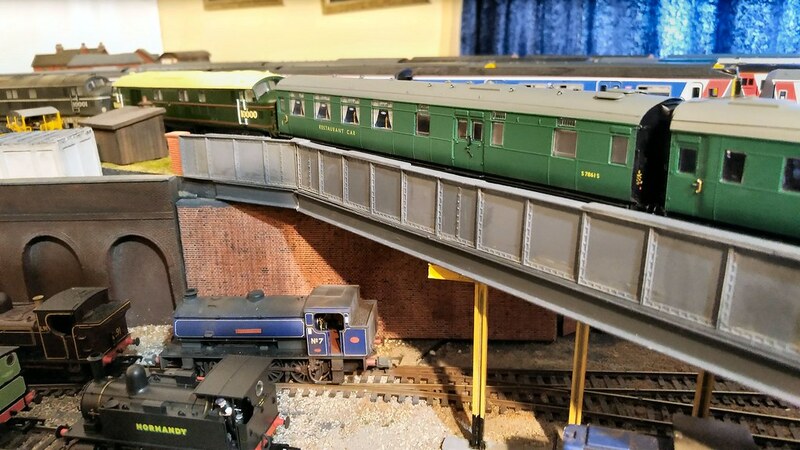 The other units are a 'tin' 2 HAL (left) and a 2H Hampshire DEMU. Now for some new arrivals at Newton Broadway (yes, they still keep a-coming!). First up, the Hornby Maunsell Restaurant Car, which is posed here with an open second coach. 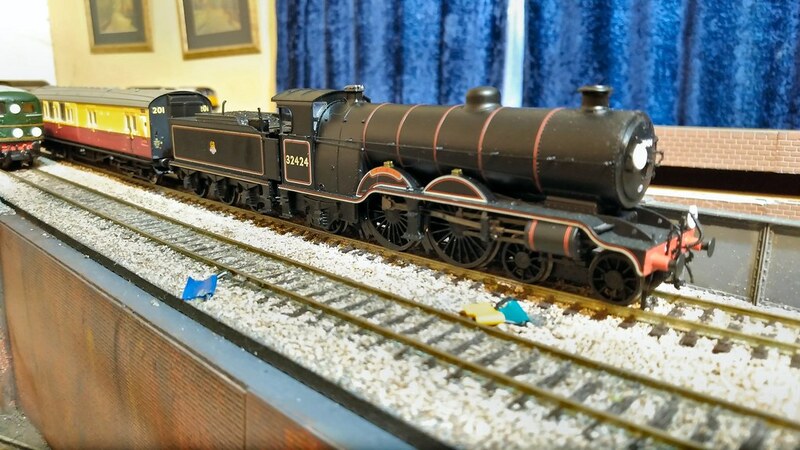 I wanted an ex-LMS Ivatt 10000 diesel to go with 10001, but couldn't justify the cost of a new one. I recently scored a second-hand one in green with orange lining, which will get a repaint in due course into black and silver. 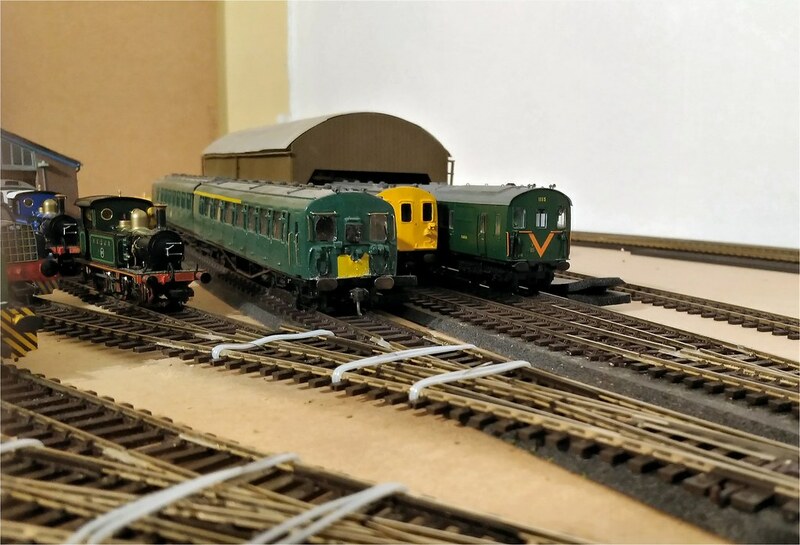 Doing it this way means I don't have to add the extra marker lights and lamp irons, seeing as they were already fitted by the time they went into the green livery. Of course, they never ran on the Southern in green, but it will remain in this livery until I am ready. A rather unexpected new arrival at Newton Broadway is 10203 in BR green with orange lining, transferred back to the Southern temporarily from the London Midland Region. 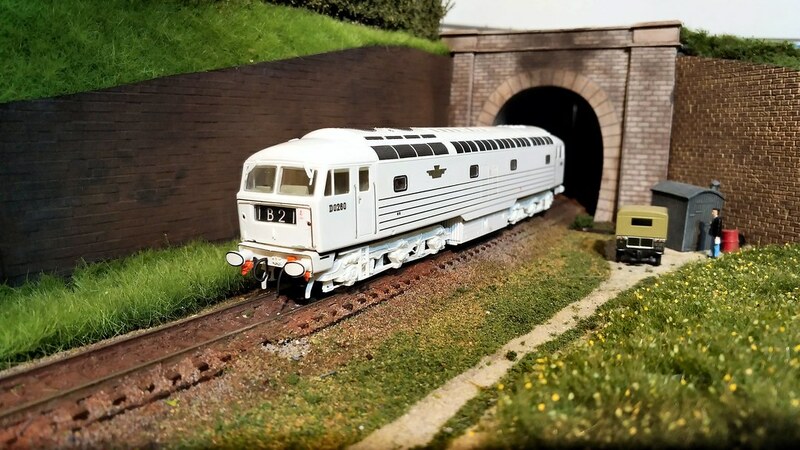 This one is a Silver Fox body on a shortened Bachmann class 40 chassis. 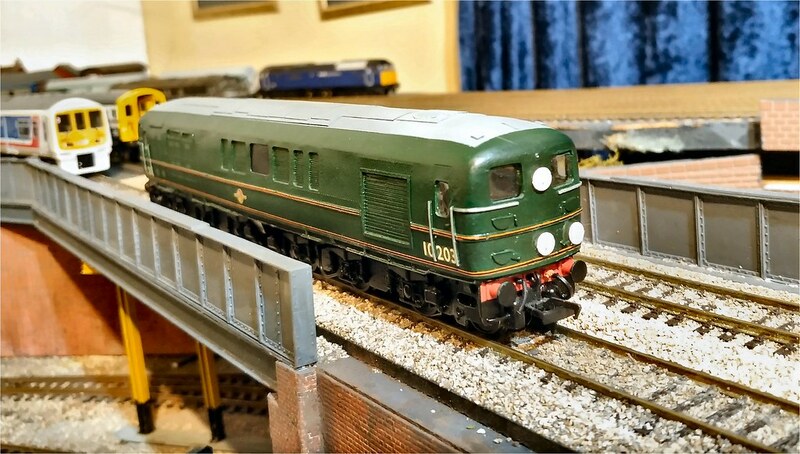 The finish is very professional, with a few minor blemishes from transporting it and the prior removal of two headcode discs at one end, all easily fixed. I was very fortunate in that it is DCC-ready, with an 8-pin decoder socket on the circuit board, so it now sports a DCC Concepts S4SA decoder. While in England recently, I managed to arrange a meeting with two of the Wish List Poll Team, Brian Macdermott and Robert Carroll. Brian organised to meet us at Milton Keynes railway station, and transported us to his home for a very pleasant afternoon tea. 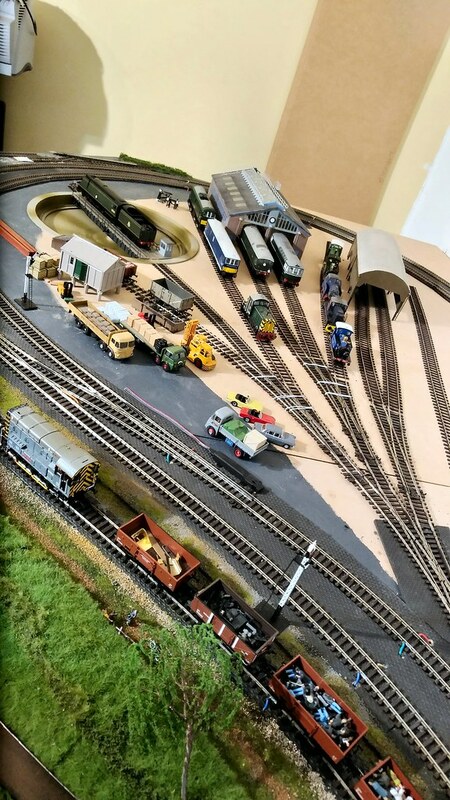 He showed us his model railway layout, and while looking at this, I saw the Bulleid diesel and admired it. 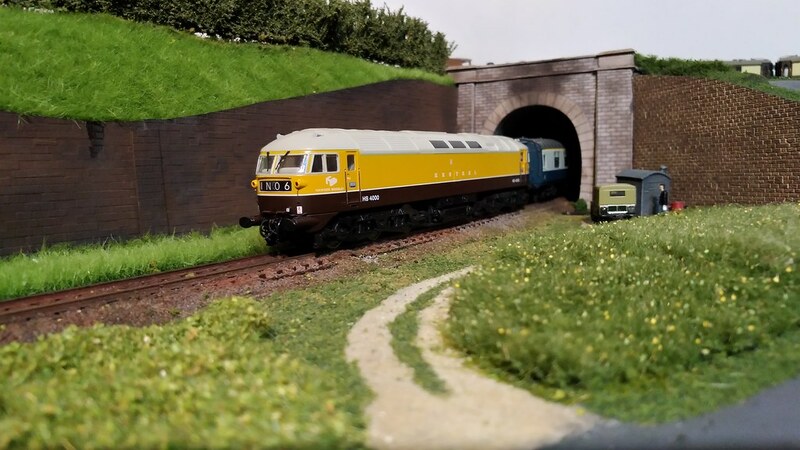 Brian said he was planning to get a Kernow Model Railways example and to sell the Silver Fox one on eBay, so I asked him to tell me when he was putting it up for sale. He then very generously just gave it to me and said I could have it; I protested and said I should pay him something for it, but he dismissed that and said he would like me to have it as I would be giving it a good home. It is seen here posed with Kernow's 10201 in the earlier livery. Many thanks to Brian and his wife, Anne, for their hospitality. Another new arrival, but this time a planned one. 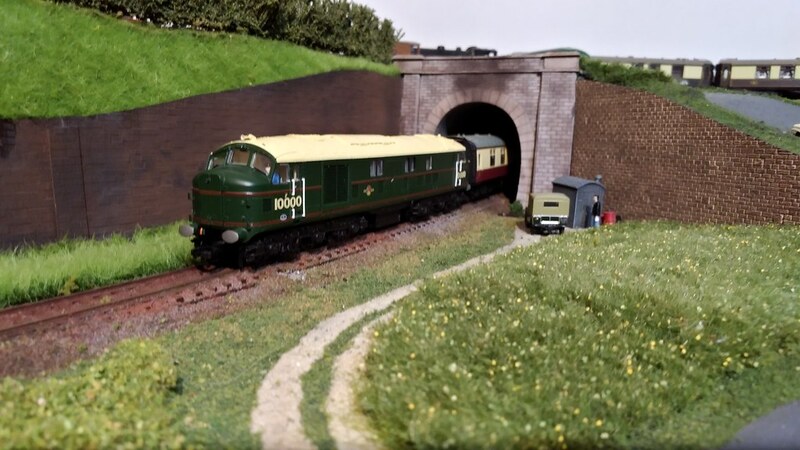 Bachmann's new H2 Atlantic, 32424, Beachy Head, has run successfully on DC then had a Zimo MX634D decoder fitted, although it has not been properly run-in yet - DC running was smooth enough to say there were no problems with this locomotive. The second photo is a little fuzzy, but I didn't feel like re-posing it. I also intend to buy an LBSC H1 Atlantic when they become available. Great to see all those lovely SR locos!! I love looking through your thread, there is always something to catch the eye. Thanks Michael. I still keep acquiring stuff, even though I have well and truly run out of space to store it all. 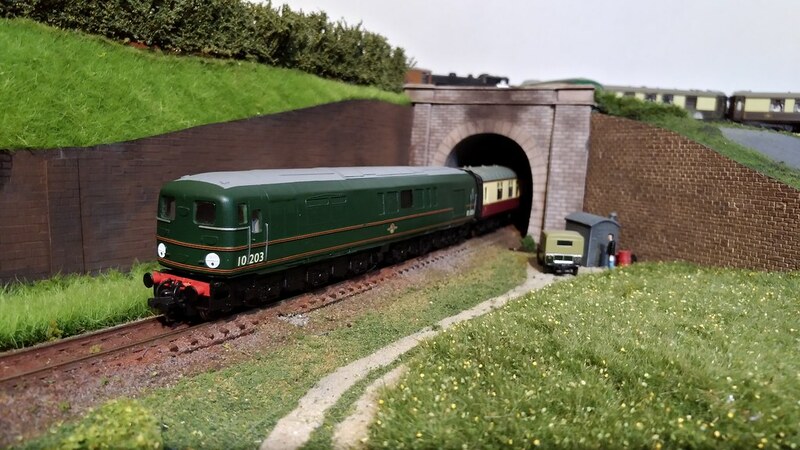 If you look back a few posts, you will see the Bulleid 10203 I acquired from Brian Macdermott required a few minor paint touch-ups and some new headcode discs on one end. 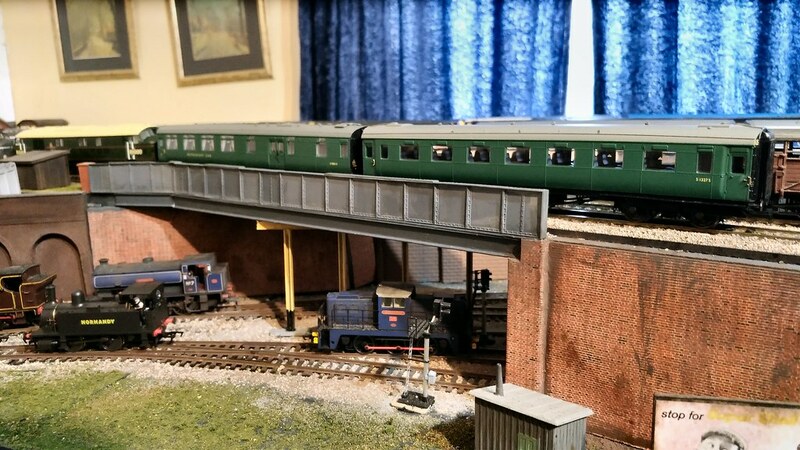 It took me a while to match the BR green properly, but I have now succeeded in this, and added some discs (actually from a Bachmann class 24 pack, so not quite right), and restored the lining at the end where I accidentally painted over bits of it, using some HMRS early GWR loco lining. The headcode is for the LMR from the SR via the West London Line. A slightly different addition to my bus fleet arrived from London Bus Replica Transfers as a resin kit with EFE bits to complete it. It represents an ex-London Transport RLH as converted to a uniform store in London Country Bus Services livery (LCBS was the successor to LT's Country Department). It was a simple kit to put together, but I still have a few details to add, like trafficators and the rear platform. The chassis as seen here is loose, and sitting slightly high at the back. I have added the detailing bits to the Brighton H2 Atlantic, 32424 Beachy Head. It is still too clean at present, but I'll deal with that another time. The model comes with etched brass nameplates, but I haven't fitted those yet - the printed ones are so good, I defy anyone to tell the difference at normal viewing distances. 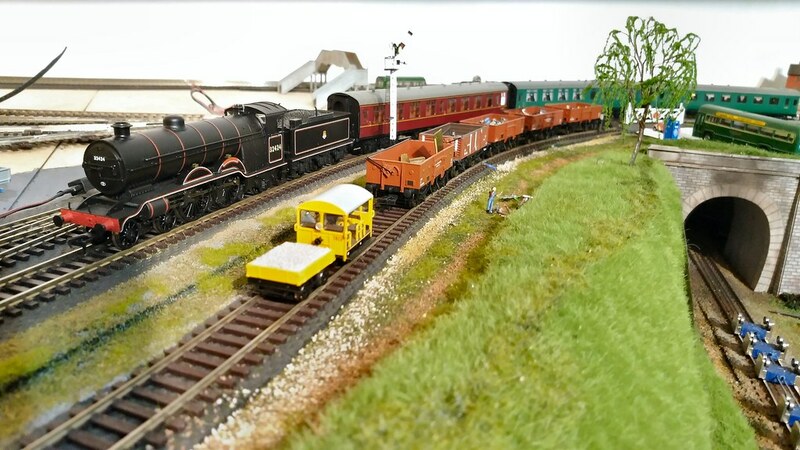 The headcode I have chosen is for the Oxted line, where some of the last duties for this class were performed. 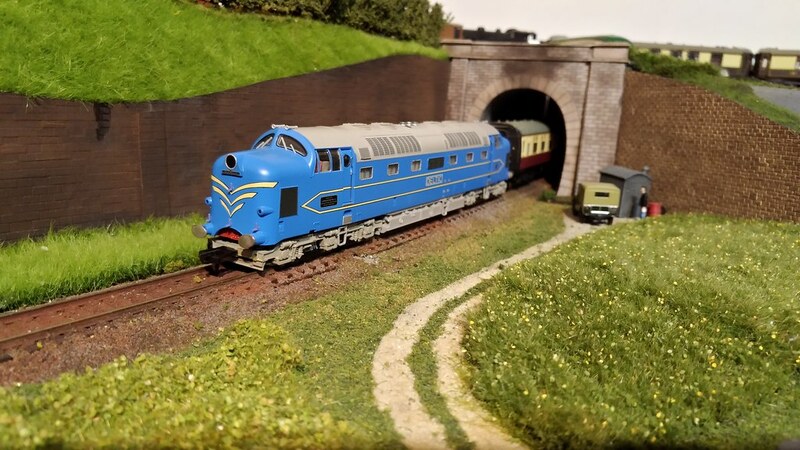 One more arrived today: Bachmann LBSCR H1 Atlantic 39 La France has been tested and run on DC then had a Zimo MX638D decoder fitted. She runs beautifully both with and without the decoder, but has not yet had any of the supplied extra detailing bits added. 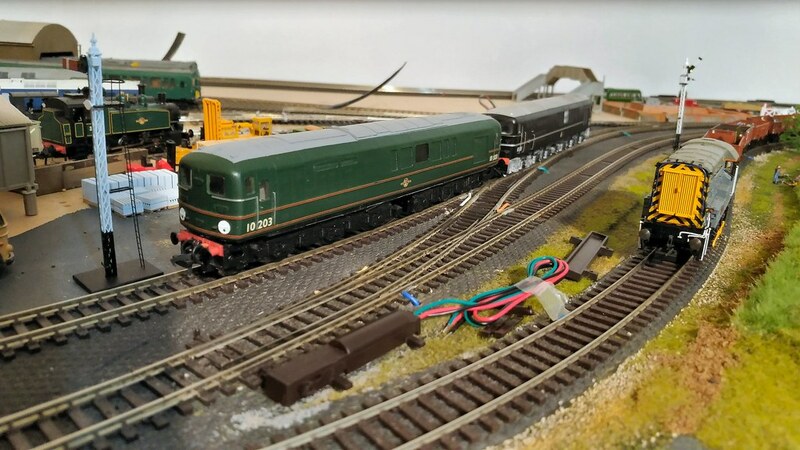 She is seen here posed with H2 Atlantic 32424 Beachy Head and Bulleid 1Co-Co1 diesel-electric 10203 (both from the previous post). 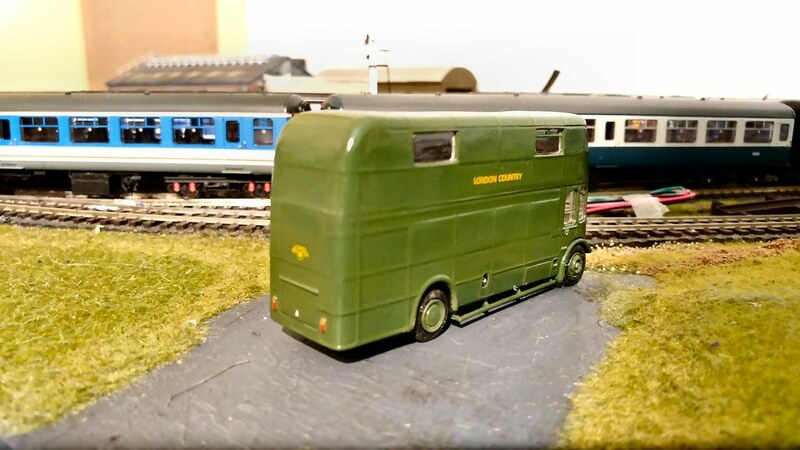 The first of the Bachmann early FGA/FFA container wagons arrived from Kernow Models yesterday. I spent a while adding some (but not all) of the bogie cover plates and all of the locking/locating pegs. They could do with some weathering, but otherwise are near perfect. 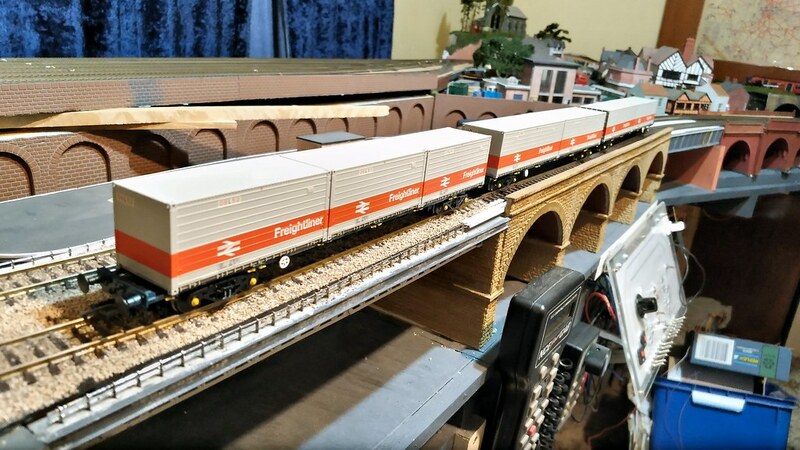 I started with a set of outer FGA and one only of the inner FFA wagons, with a view to adding to more inners later. 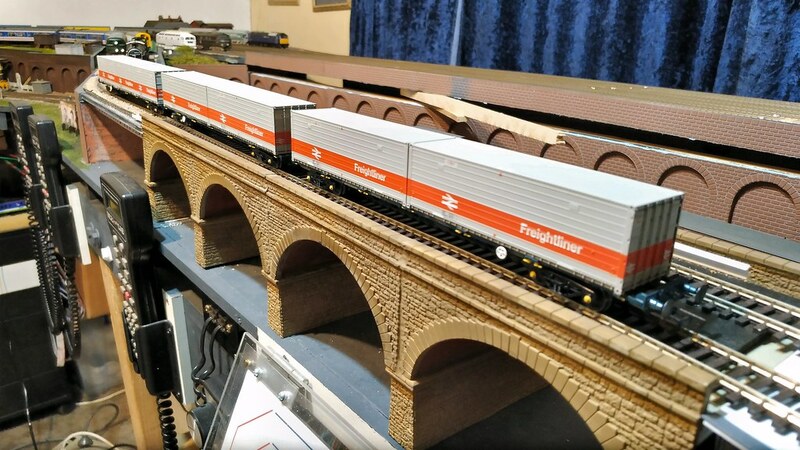 I really want more of the Freightliner 20' containers, and am prepared to wait until Bachmann offer more variations and combinations of these wagons. Note the wooden wedges I have inserted under the lifting section of the upper level fiddle yard behind the wagons; they make it easier for me to access the section when wanting to lift it repeatedly while doing work on the underside (tidying and adding wiring). 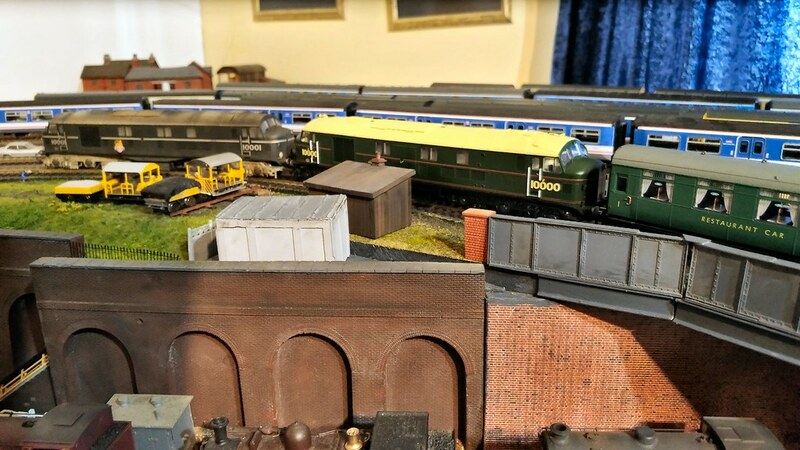 Just a couple of posed shots today of a couple of my models that haven't been photographed in proper scenic surroundings before, or only on the old layout. 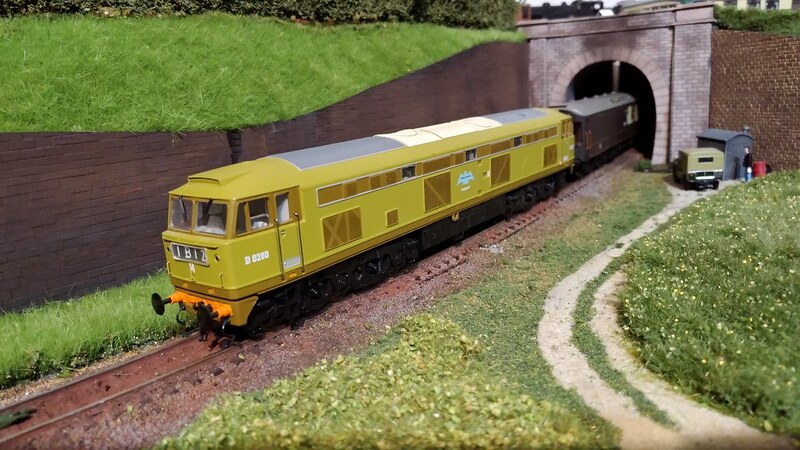 First up is D0260 Lion, an unmodified Heljan model fitted with a Soundtraxx Econami UK diesel decoder, using the class 47 sounds with horns from one of the other diesels (definitely not the 47 'spoon' sounds!). This is probably as close to a white Christmas as I'll get this year - 34 degrees C predicted for today, Christmas Eve, here in Melbourne! 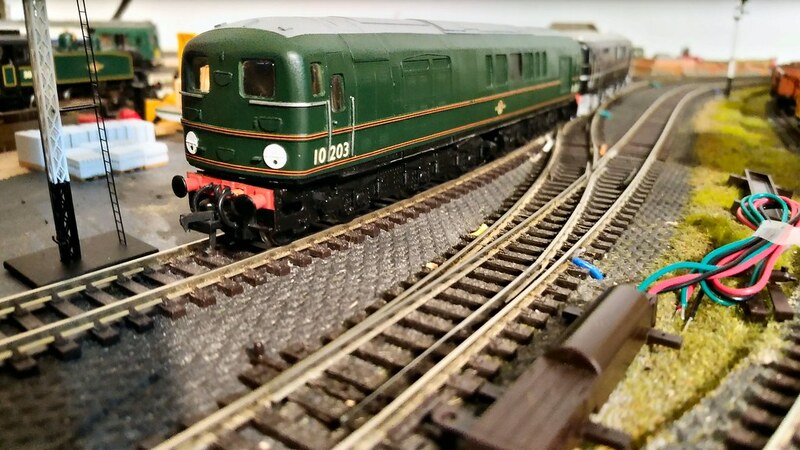 The Swindon class 120 DMMU was built many years ago from a Lima class 117 with Craftsman brass sides and ends. It is numbered as a Cardiff-based unit, which did work onto BR(S) metals, at the very least, to Weymouth. 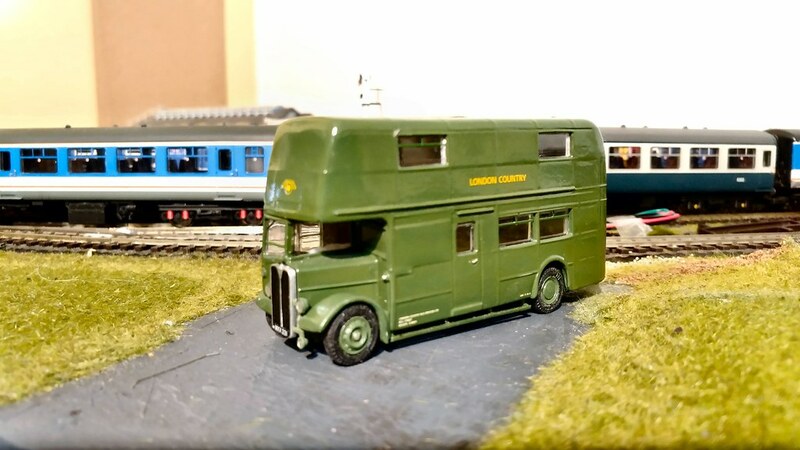 In more recent years, I replaced the Lima chassis on the DMBS coach with a newer Hornby class 121 DCC-ready chassis, which only needed minor hacking at the trailing end to get it to clip neatly into the existing shell. 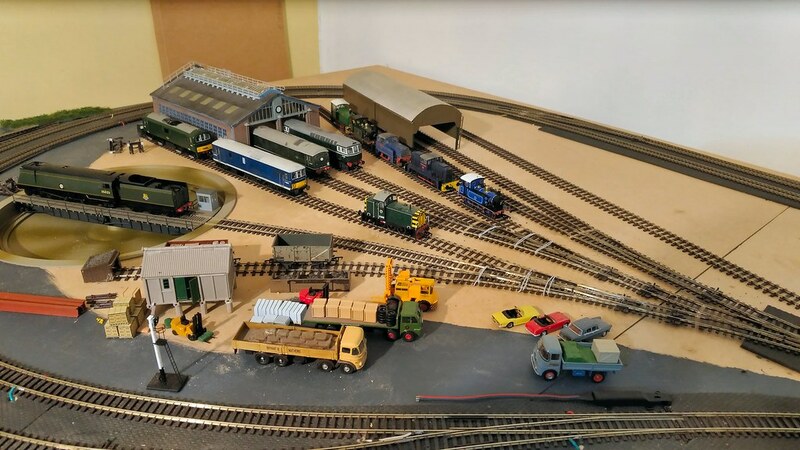 I just had one of those really productive days on the layout. I have done my back in again doing all this but I can say I had several successes today. On the layout side itself, I have had the lifting flap up for weeks waiting for my back to be good enough to put a prop in and add wooden strips to hold the wiring away from the underground trains beneath - the duct tape was always intended to be temporary, but I think the warm (in the 30s, Centigrade) and somewhat humid days recently have accelerated the downfall of the tape. The prop consists of a length of 2"x1" timber on a hinge, together with a strip of MDF on the baseboard; the prop is hinged on the underside of the lifting section, and simply pushes against the back of the retaining wall and that bit of mdf on the bottom. The retaining wall is a fairly solid piece of 4"x1" timber screwed and glued to the baseboard, with cosmetic stone walling and arches on the front. When not engaged, the prop just hangs down through the open section of framing directly beneath it. The underground trains have had their first good long run for some months, and worked perfectly. 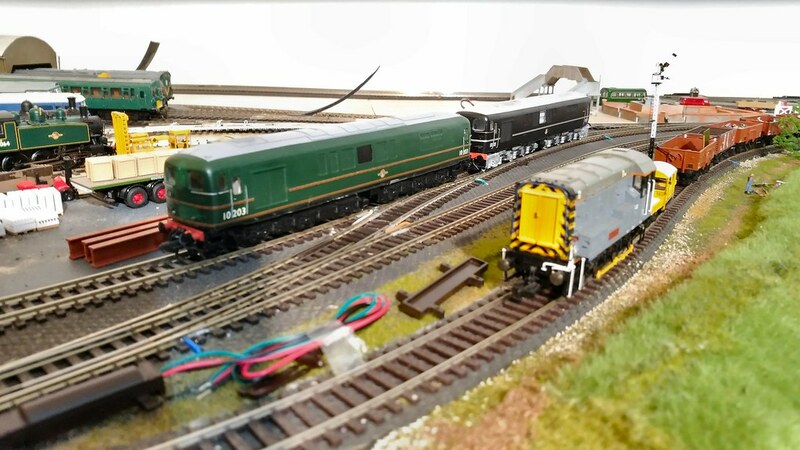 Not directly related to the layout itself, but to do with DCC sound locomotives, I have been trying to reprogram the Soundtraxx Econami UK decoders I fitted into three diesels (D0260 Lion, 10000 and 10001) to bring them more into line with British sound decoder norms. By default, they are set to use F8 to mute the sound, whereas British sound decoders almost universally use F1, which Soundtraxx use for one of the single-tone horn sounds. They also use F2 and F3 for the other horn sounds, with F2 giving the alternative single-tone, and F3 giving the dual tones. That's inconvenient because I wanted to keep the single-tones together (i.e. on F2 and F3), so the dual tone had to move as well, but I didn't want it to go to F8, vacated by the mute function. Now all of this should have been made easy using JMRI Decoder Pro on a computer talking to the NCE Power Pro command station, right? Wrong!! There is a bug in the Power Pro when talking to the Econami decoders on the programming track, and Decoder Pro 'knows' about this, so refuses to execute certain changes, like reassigning the mute function from F8 to F1. OK, so I scratch my head a bit then remember I have a USB interface for the Power Cab, which I use as a stand-alone unit for the programming track too (selectable through a rotary multi-pole switch). The Power Cab doesn't have the programming bug. Next problem: the USB interface is recognised but refusing to 'talk' to the JMRI program. I tried and tried a few days ago, but gave up. So, when I tried it again today, it worked perfectly. All those functions I mentioned ahave been reassigned successfully. F1 now turns on or mutes the sound, F2 plays one tone, F3 plays the other tone, and F4 plays the two-tone horns (F3 and F4 are academic on 10000 and 10001, since they only had single tone horns anyway, but they are now standardised for ease of use). 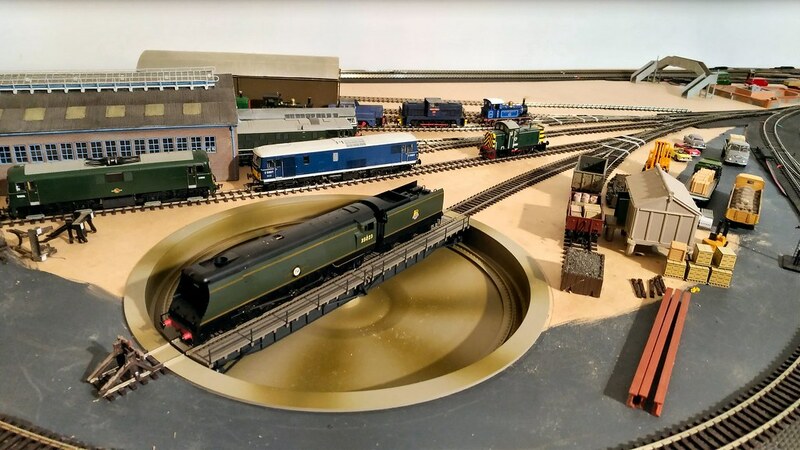 On the layout, having closed the lifting section, I have been able to shunt the trains off the running lines back into the fiddle yard, so I could run trains on the upper level again. 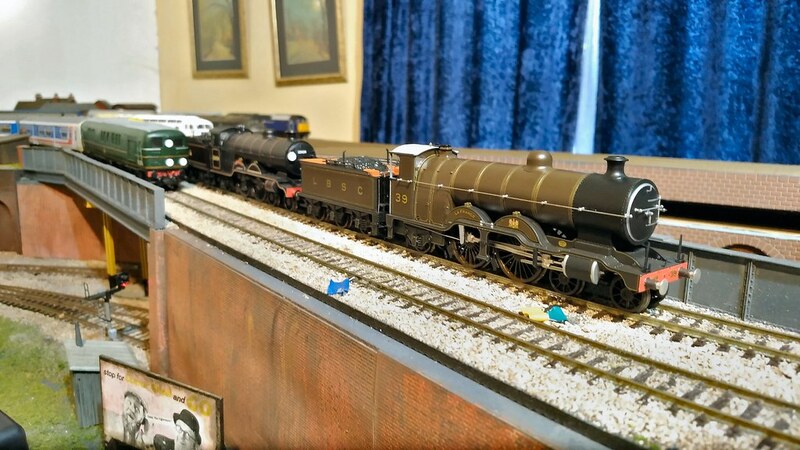 The first one to get a good run was a newly assembled train with H1 Atlantic 39 and six Hornby Pullman cars, which it romped away with. ​So, all in all, a good day! 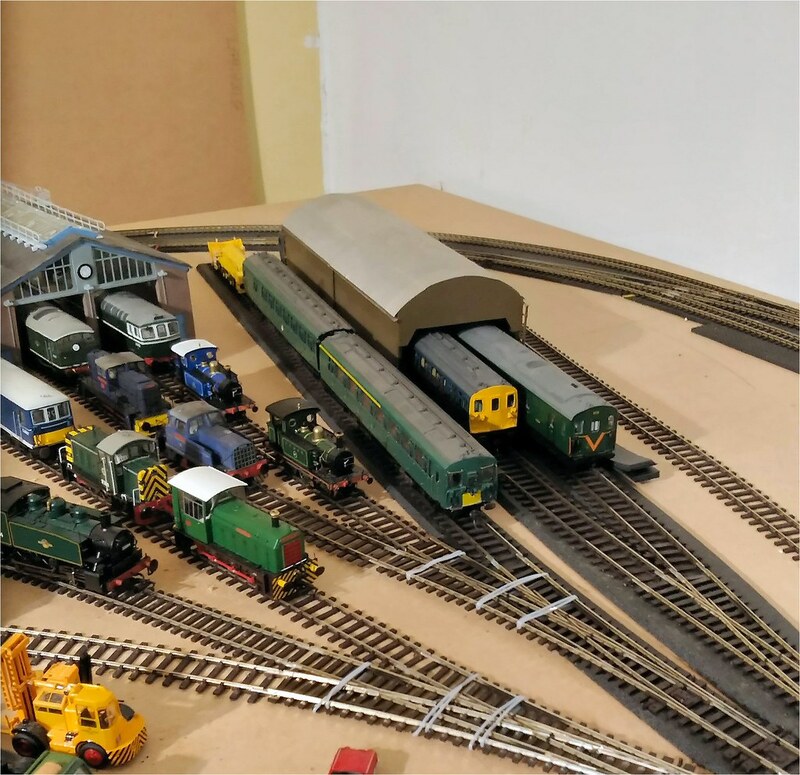 I have been posing small collections of my locomotives on the programming/scenic track for my records and insurance purposes (I also keep a spreadsheet). I have generally been going for themes that link the groups together. 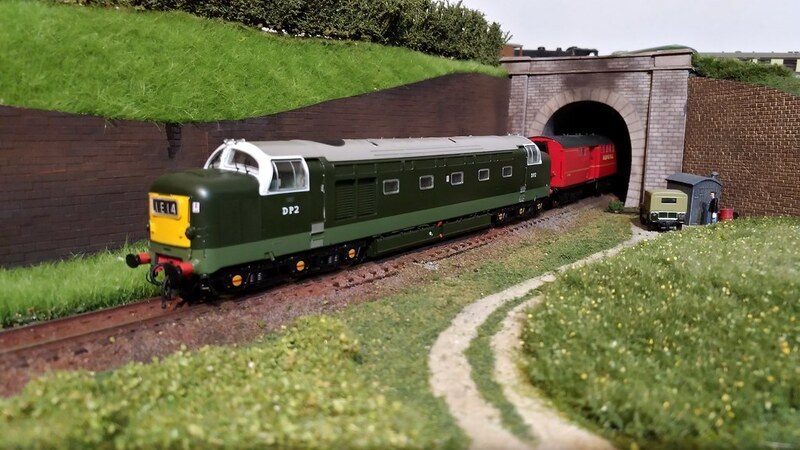 This first group is of BR's prototype and experimental main line diesels. I have repeated Lion here, as it really belongs in this group. 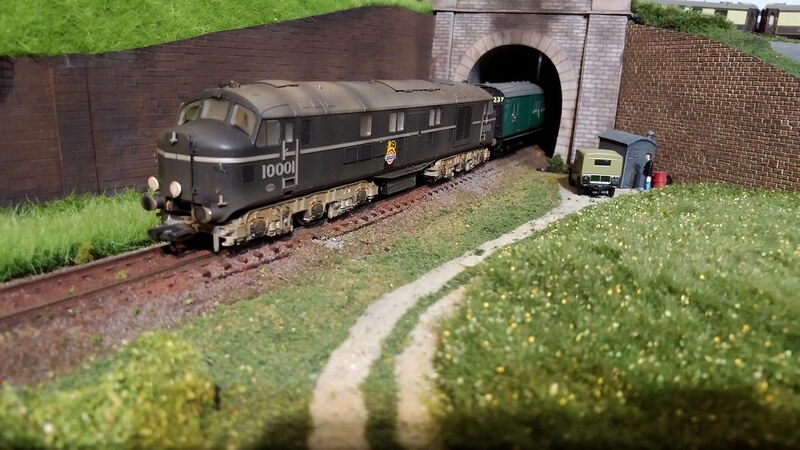 Bachmann Ivatt 10000 in green, which will eventually be repainted into black with silver roof, bogies and lining. At least in this form it has the extra lamp irons and marker lights fitted for its stint on the Southern Region. 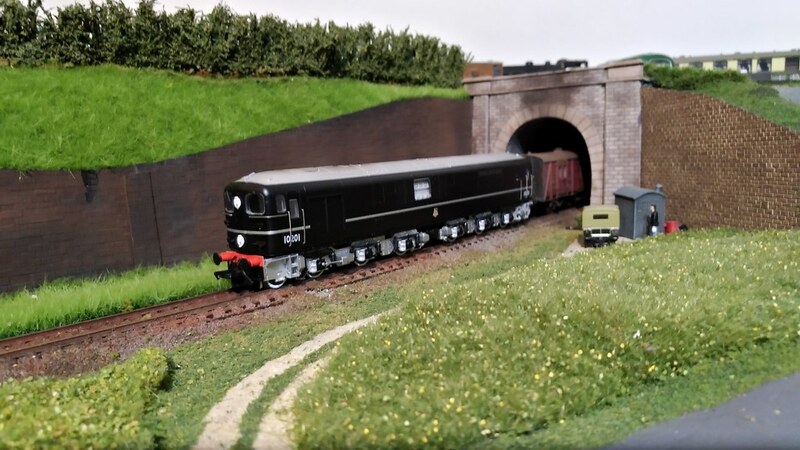 Bachmann Ivatt 10001, with livery modifications and extra marker lights and lamp irons added to represent it as it was on the SR.
Kernow Model Rail Centre (KMRC) Bulleid 10201. Silver Fox with Bachmann class 40 mech Bulleid 10203.